Spinach Artichoke Dip is one of my go to recipes- it's easy, accessible, and perfect for a crowd. I love looking at cookbooks which I use frequently and seeing the splatters and stains on the pages from my cooking. Is that weird? Probably. Anyway, this recipe is from Cooks Illustrated's The Best Make Ahead Recipe. I highly recommend any of their cookbooks, especially if you are a nerd like myself and enjoy all the scientific testing that goes in to determine the best recipe possible. Maybe that should be my career- the Spice and Sass Test Kitchen. Hmmm, my hair does skew rather mad scientist at times, especially after sleeping with it wet. First toss a pack of frozen artichokes with a splash of olive oil and salt and pepper. Pop those babies in a 450 degree oven and roast for about 25-30 minutes, until the chokes are a touch crispy. Try to only pick off and eat the ones stuck to the aluminum foil, or toss an extra package on there for munching if you love artichokes like me. While those are roasting, sauté a chopped onion and a couple of chopped cloves of garlic (or more- I am a fan of keeping any vampires at bay- if you're making this planning on making out with someone, maybe should keep it to 2). If your married, or your potential make-out partner is a garlic fan- have at 3-4 cloves! Add one frozen box of chopped spinach- SQUEEZE all of the water of this in a colander with (several) dishcloths. You can use paper towels, but you will use a goodly amount of the roll. Add the spinach to the onions and garlic and sauté away! Let the artichokes cool a bit, then roughly chop them. In a bowl, mix mayo, cream cheese at room temperature, Parmesan, lemon juice, thyme and red pepper together. If you forget your lemons, like I have a tendency to do, you can sub a little white wine. The acidity brings out the flavors of the spinach and chokes. Add the spinach mixture and artichokes- I like to do this while they are warm because it helps soften the cream cheese, which I never remember to bring to room temperature. Put in a baking dish- this pictured here is a triple recipe because it's for eighty people. Cook at 350 for about 30 minutes. Yum! You can use reduced fat cream cheese and reduce the amount of mayo, or add some extra spinach if trying to be waist conscious. Moving on to green beans. I did a couple pounds of fresh, but they aren't really in season yet, and my desire to string enough beans for 70-80 people was rather nonexistent. Allens to the rescue! Here's the recipe, from Paula Deen. I leave out the taters, because. . .I don't know, just not a fan. Hubs was excited to have bacon Saturday morning- I just needed the grease to sauté the fatback in! After the beans cook for a bit add the onion. Then cook until delicious disintegration- but as Paula instructs "Don't drown the beans in chicken broth!" Mine are drowning a bit here, but it all cooked off. Also, in response to inquiries- I picked up my scarf when I lived in Africa in Zanzibar, so it's very special to me. The floors in my parents' kitchen go through the foyer and hallways is Crab Orchard Stone (which is similar to flagstone). I definitely want to put this in the dream house, because it's perfect for high traffic areas. It doesn't show dirt (perfect for when my brother and I were small and we had four golden retrievers), it's easy to clean and it wears well. Oh, and it's really pretty! Awww, you are too cute. Also, I still haven't gone grocery shopping since we got back in town and I wish I could tuck into some spinach artichoke dip and/or green beans right now for breakfast. I love Cooks! Though I have to admit I am sometimes too lazy to follow all of their steps for the perfect dish. I love your yellow sandals! Where are they from? Love the cooking tutorial! I want to make the green beans now! PS - LOVE your Lands End Canvas sandals! I ♥ Cook's Illustrated. They have some of the best recipes. I too have a spinach dip that gets requested often. It's pretty easy and so yummy! oooo now I need spin-dip. I also need more Le Creuset pieces... like, ASAP. Sounds delicious! Your parents' kitchen is wonderful. Love looking at the photos. Yum! I love reading cookbooks, I will have to pick this one up. Love your Le Creuset! I love it when my cook books are spotted or stained from a favorite recipe. It is very comforting. My Mom's betty crocker cook book is so worn and stained when you flip through it you can see all our family favorites based on how stained the pages are. It's like a living history of our family in a cook book. 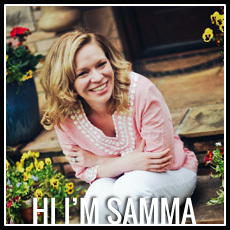 Hi, Samma, thank you for stopping by, it's so nice to meet you! Thanks for posting the recipe! I love trying new things and I definitely will test this out, seeing how delicious your end product looks. I started a blog that I think you might like too. It combines fashion and giving back to charities. Each week, I will give away 1 Lilly Pulitzer dress (this week it’s the Pink Adelson Shift from Spring 2010) to one lucky follower, who raises awareness of the blog's selected charity through various ways such as tweeting about it or commenting with an interesting fact. I am currently also giving away some great Lilly stationary items too. Please check out my blog at www.shop4charity.blogspot.com because doing good is chic! I love these pictures- and that dip looks FAB!